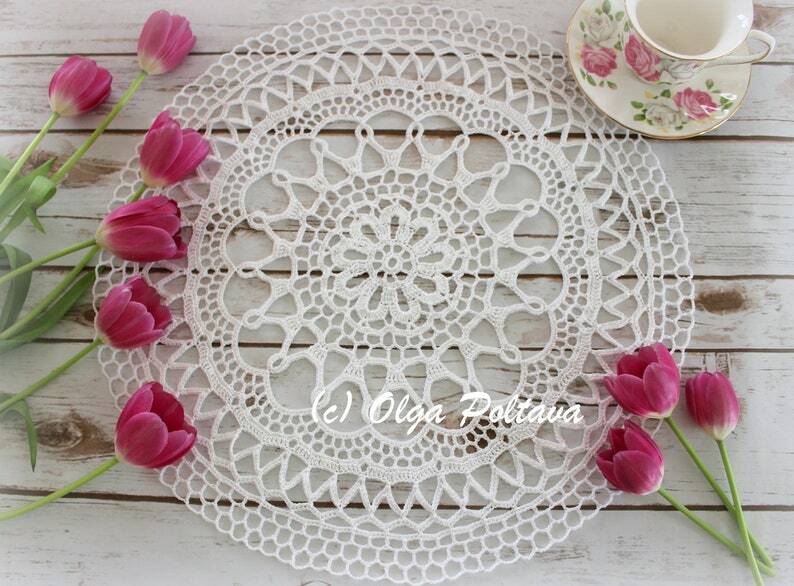 This is a PATTERN ONLY for a round crochet doily, table topper, made with cotton thread size ten (such as Aunt Lydia’s) and a steel hook 1.5 mm. The finished doily measures about 17 inches in diameter. The skill level is advanced beginner. Only basic stitches (chain, slip stitch, singe crochet, double crochet, treble crochet) are used in this pattern. The pattern is written in English using the US crochet terminology (no symbol chart available). This pattern cannot be redistributed. However, you have the permission to sell finished items made from this pattern.